100 Floors Updated! Come continue the fun with us. Challenge yourself and see if you can make it to the TOP! Can you escape? 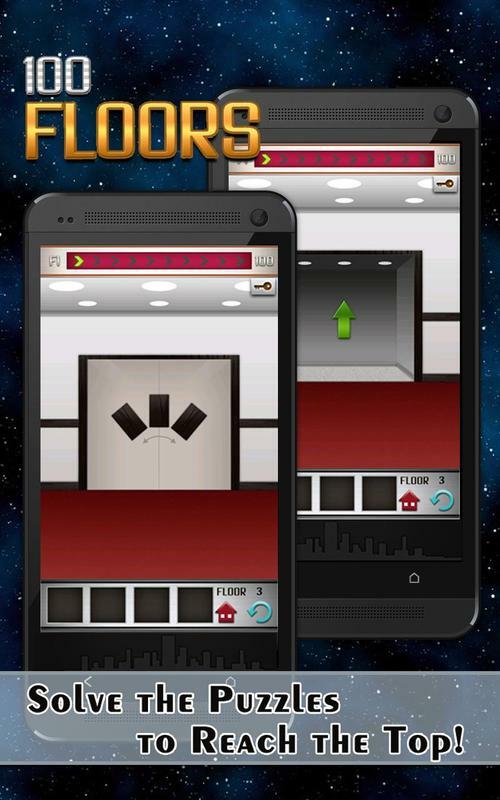 Advance to the next floor by solving the puzzle! Escape the room! 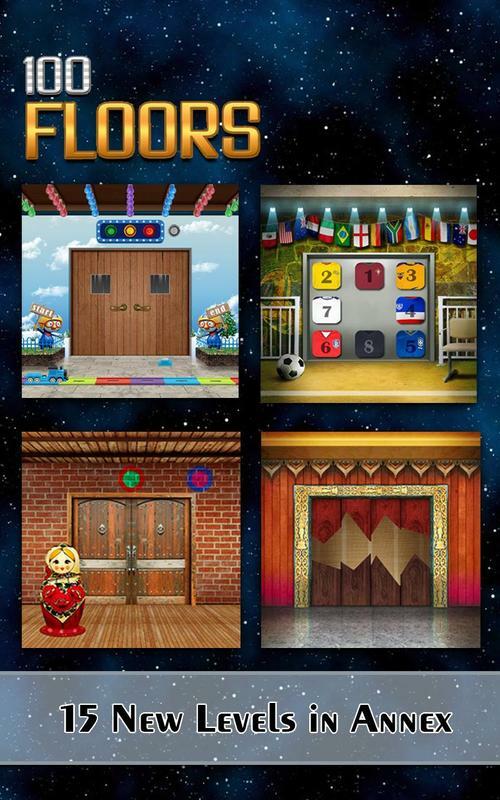 100 levels of puzzles are waiting to be solved! 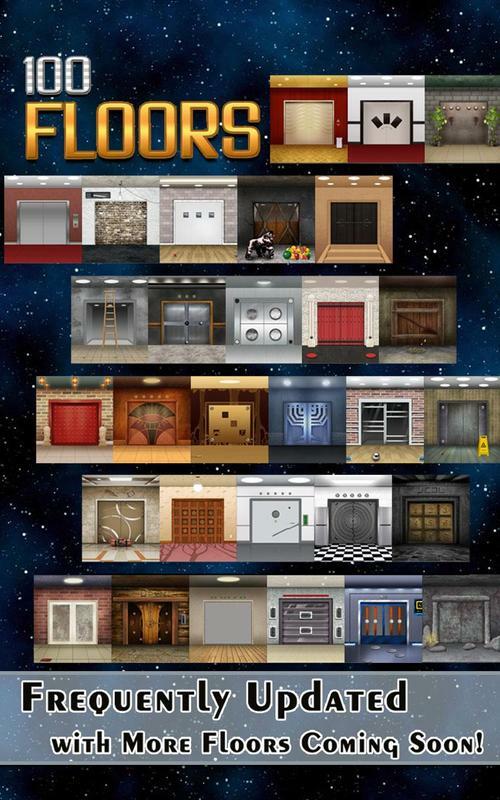 100 Rooms, 100 Doors, 100 Floors! -Addicting mini puzzles and brainteasers! -Complete utilization of your Android phone features! -Gorgeous graphics and different themed floors, doors, and rooms! -Constant updates of New Floors, New Doors, New Rooms! - Unlock the door to get to the next level. 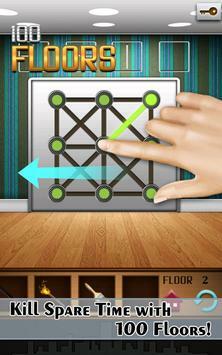 - To do that, pinch, poke, shake, tilt, swipe the on-screen images, to find a way to solve the puzzles. 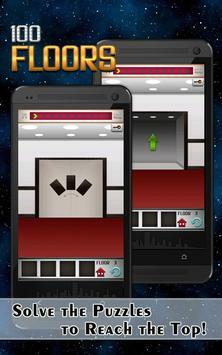 - Floor 1: tap the green elevator button to open the door. Tap the green arrow behind the door to go to the next floor. - Floor 2: swipe the trashcan to move it aside and tap the green arrow button behind it. Tap the button in your inventory and tap the grayed out arrow above the red arrow. Tap the green button once it is placed to open the door. 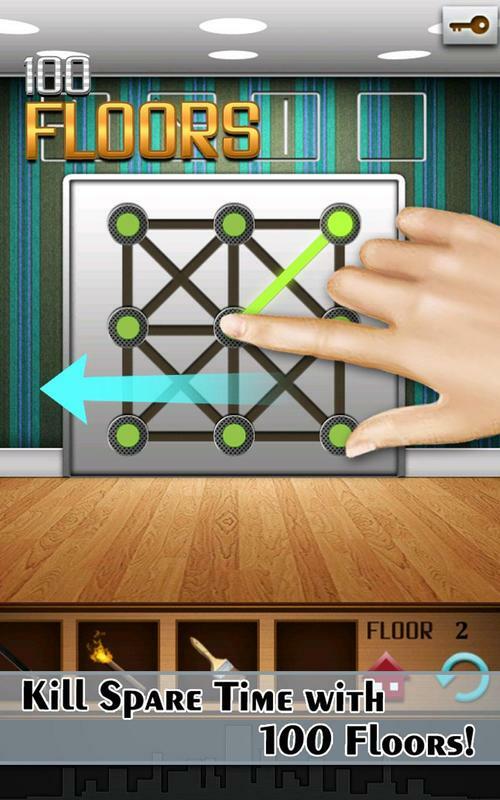 - Floor 4: What is the opposite motion of pinching? 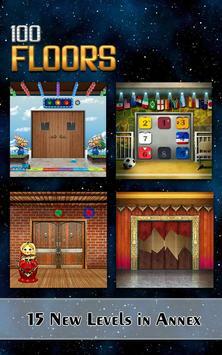 The ultimate room escape, can you escape the room puzzle game!